The Graceband came together to celebrate The King three years ago. The band honed its chops at Torrance cultural institutions like the Gable House Bowl and Hale Hawaii, the latter a tiki bar that retains an 80s vibe and is overseen by an owner resembling Mr. Miyagi from “The Karate Kid” who opens his venue when he feels like it (particularly during Dodger games). The band, in other words, is steeped in both Elvis and local history. 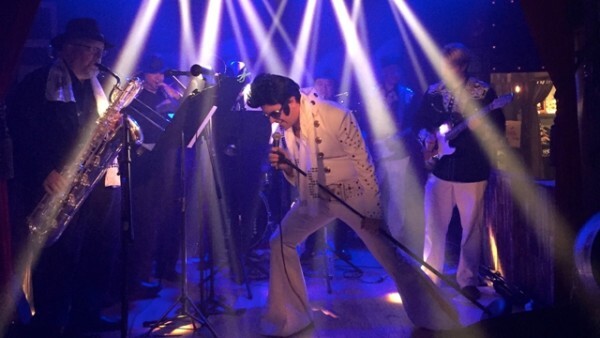 His inspiration to become Elvis happened as a result of Maddox’s teenage experiences. 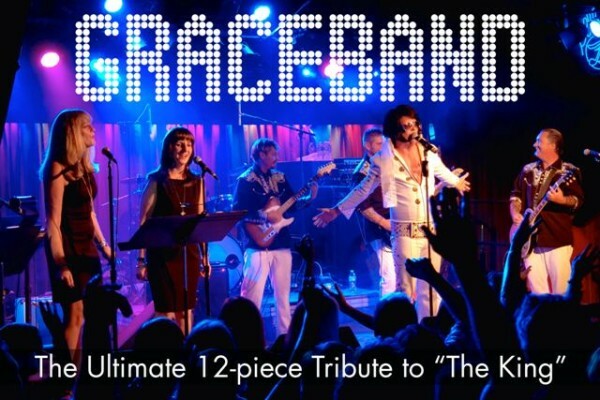 The Graceband is not another hack tribute band and Maddox isn’t another sloppy impersonator performing in a rhinestone studded jumpsuit. The South Bay supergroup has a full horn section, three guitarists, two backing vocalists, drums and bass. The 12-piece ensemble features Ryan Roelen (lead guitar), Danny Behringer (bass), George Steele (drums), Scott May (acoustic), Eric Durham (rhythm), as well as The Horns O’ Plenty, John Saffery, Hugo Vazquez, Robert Mukai, and Jimmie Williams. Backup vocals are provided by The Gracenotes, Kate Walker and “Sweet Caroline” McClean. “We do it big like Elvis,” Maddox said. The setlist includes hits like “Heartbreak Hotel” and “Suspicious Minds” but also mixes in songs from AC/DC, Led Zeppelin, the Black Crowes, among other rock classics.